We tell the positive story of sustainable West Coast Groundfish to cultivate consumer appreciation and support the long-term economic success of our local fishing industry and communities. 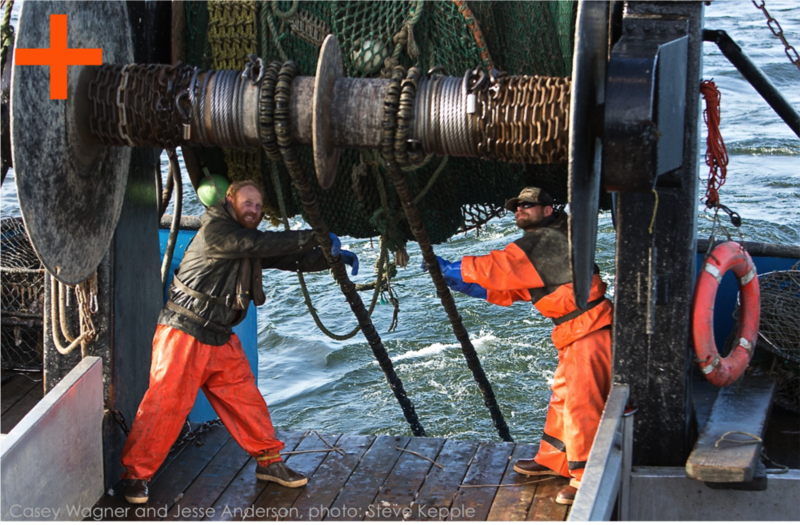 Positively Groundfish is a non-profit trade association that unites a broad set of stakeholders of the West Coast groundfish fishery: fishermen, fish processors, environmental advocates, certifiers, academic researchers and state agencies. We are a diverse group and we each bring different experience and perspectives to the table, but we all share a fierce love for our oceans and confident optimism about the future of our fishery, West Coast groundfish. We believe in the power of collaboration and communication across the fences. It was by collaborating that we were able to bring our fishery back from ecological collapse and return it to the sustainable abundance we enjoy today. And only collaboration between all stakeholders will restore the economic wellbeing of our fishing industry and communities along the West Coast. Let’s tackle this together, with one voice, and together create a rising tide for all boats! The West Coast fishing community is our home, our identity, our heritage and our future. So when the fishery faced collapse we didn’t just write it off and moved on. Instead, we came together, made some difficult decisions and made a total commitment to sustainability. We rationalized the fleet and capped the amount we fish. We changed where and when we fish to avoid sensitive habitats and spawning grounds. We modified our gear to fish more selectively and reduce by-catch levels. And we now have 100% observer coverage and total accountability for our catch. It wasn’t easy, but it worked! Not even 20 years after it was declared a disaster by NOAA, the West Coast groundfish fishery has rebounded and is now more abundant than ever. We think it’s one of the best comeback stories since Rocky! Seven overfished stocks of rockfish have been rebuilt, many ahead of schedule. By-catch levels have been reduced dramatically and thousands of miles of fish habitat are protected. In acknowledgement of these remarkable improvements, the Marine Stewardship Council certified 13 species of West Coast groundfish in 2014, and the Seafood Watch Program has listed many as Best Choice. But this all-American success story isn’t complete yet. While our groundfish populations have bounced back, consumer demand for our fish hasn’t. After years of absence from restaurant menus and retail cases, West coast rockfish and sole have been forgotten and replaced by other foreign whitefish species. Low consumer demand is now depressing prices as well as catch volumes. Today, only 20-25% of what could sustainably be harvested is actually being landed by our fishermen. The math is simple: low prices x low catch volumes = economic challenge for fishermen and fishing communities. Positively Groundfish is focused on marketing activity that drives awareness and market differentiation for West Coast groundfish to increase market volumes and market prices. We want to make America fall in love with West Coast groundfish and appreciate the variety and unique qualities of our many wonderful species. We will work with chefs, retailers and brands to educate, persuade and inspire the American public to buy more of our underutilized species. With regionally-specific marketing and storytelling, we hope to connect American consumers to the source of their food and strengthen their sense of place and connection to local communities. We hope to play our part in preserving local culinary traditions and reclaim groundfish’s place in West Coast cuisine. We will know that we’ve succeeded when eating local rockfish is considered again a “must-do” on any West Coast vacation. Our ultimate measuring stick is the degree to which we have improved the economics of the West Coast groundfish fishery and the livelihoods of our local fishing communities. We believe that greater consumer demand will make the fishery more profitable, help create more jobs, attract more investment and create a positive upward spiral of economic development for our communities. We will demonstrate that ecological sustainability and economic well-being are not trade-offs but can go hand in hand.